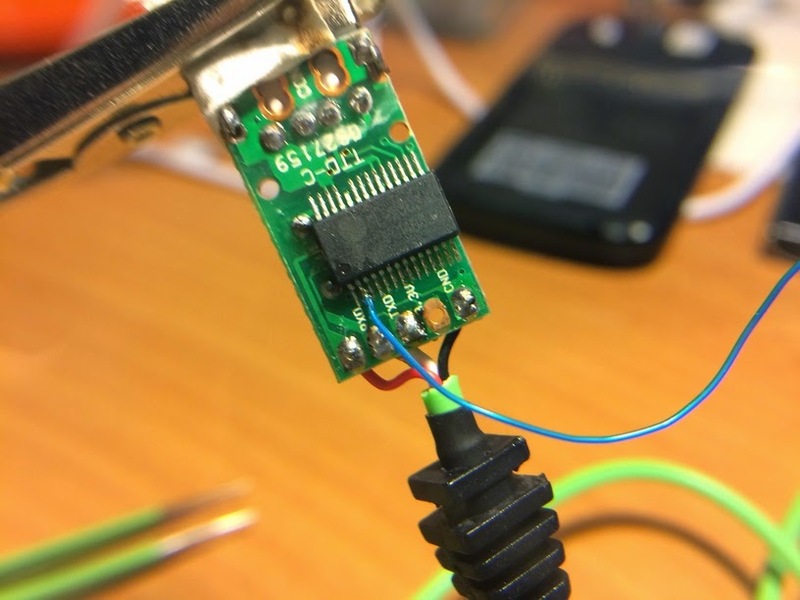 Reverse engineering crappy Android Linux hardware/platforms is much easier with a serial console when you have a working kernel, but no source (of course first attempt being GPL request, then when that fails, github/google). Many (most?) cheap smartphones at the moment are made using Mediatek SoCs like the MT6582, MT6589, or older MT6572. An interesting feature I found in these is that after the preloader stage, the LK bootloader and also the main kernel provides a 921600 baud TTL UART console port on the USB data lines, providing that it "sees" it during startup (else you get normal USB). 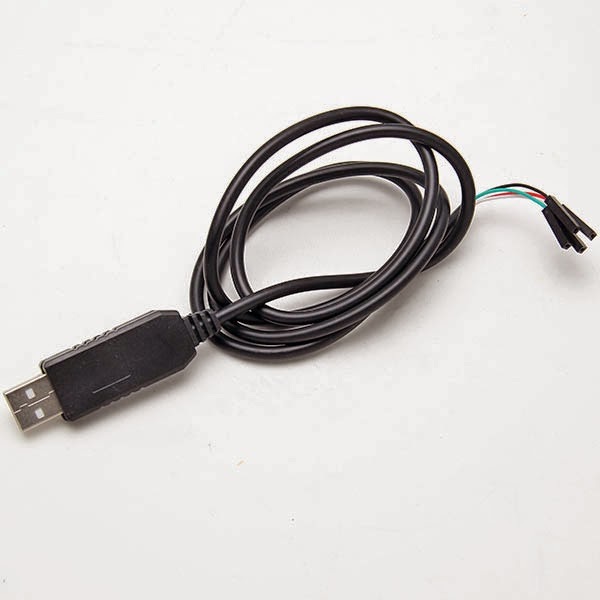 A "Prolific" PL2303HX cable will cost you about £2 from ebay. A CP210x might be a better choice, but they were just open boards so didn't look as nice. 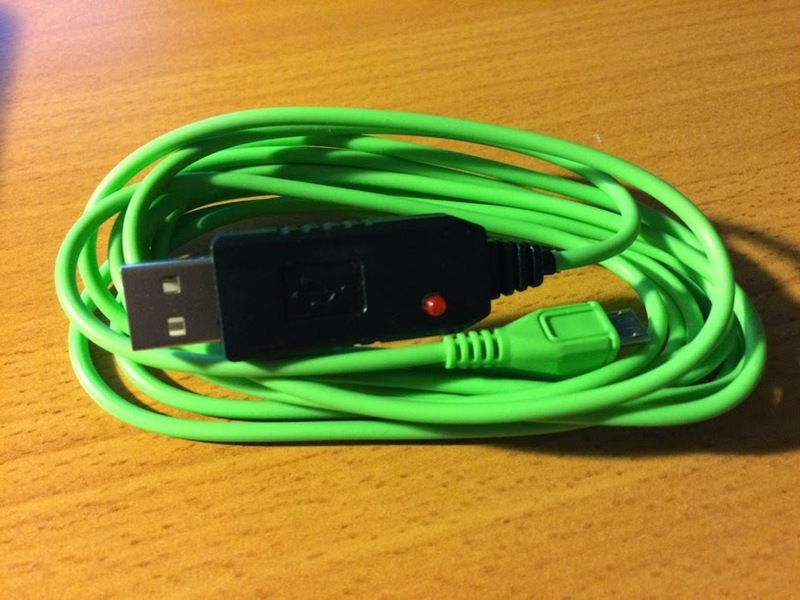 There's plenty of space to fit it inside the USB plug. 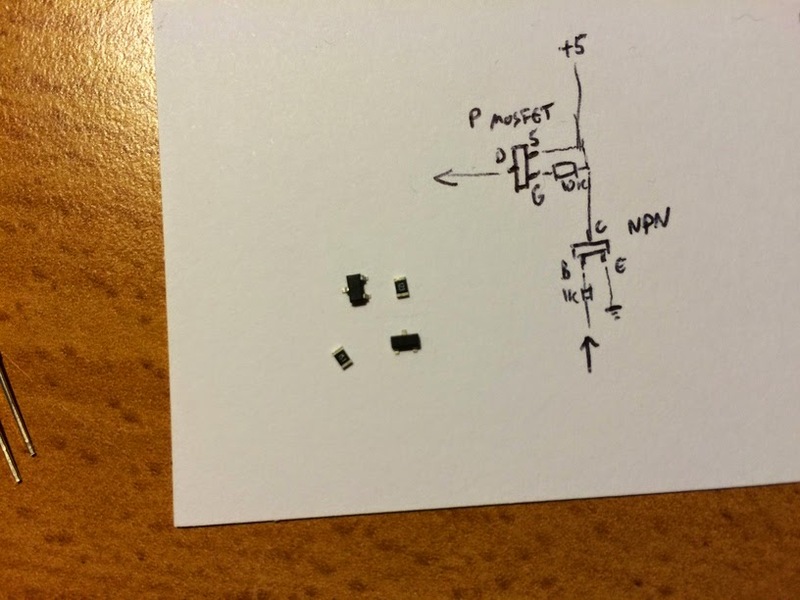 If you can't use SMD parts, it'd probably sit above the PCB without issue. Is there anything needed in terms of kernel settings? I can't get this to work on either fairphone1 nor Wiko Stairway. Is there a specific boot up sequence needed? 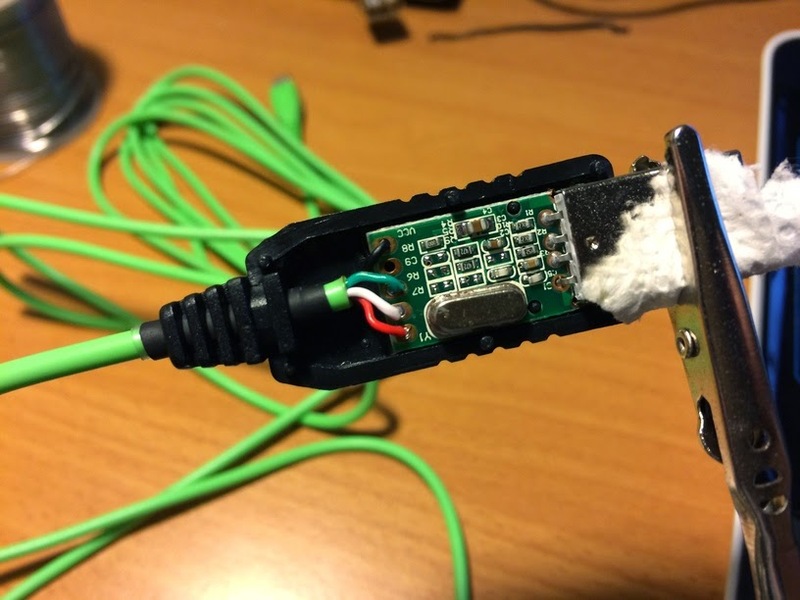 Like plugin cable when battery out? You can either patch this in lk, or there is an undocumented fastboot command to toggle it for the next reboot. I can't quite remember what it was, but something along the lines of "fastboot oem p2u 1"
You should still see hundreds of lines of output before the kernel loads though, so if you've got nothing then maybe your tx/rx are swapped, or baud rate is incorrect? This does not work on my Honor 3C (H30-U10). There's no output produced. I tried swapping TX/RX, no success. And yes baud rate was set to 921600. Does it use 5V or 3.3V data voltage levels? I was wrong, actually. 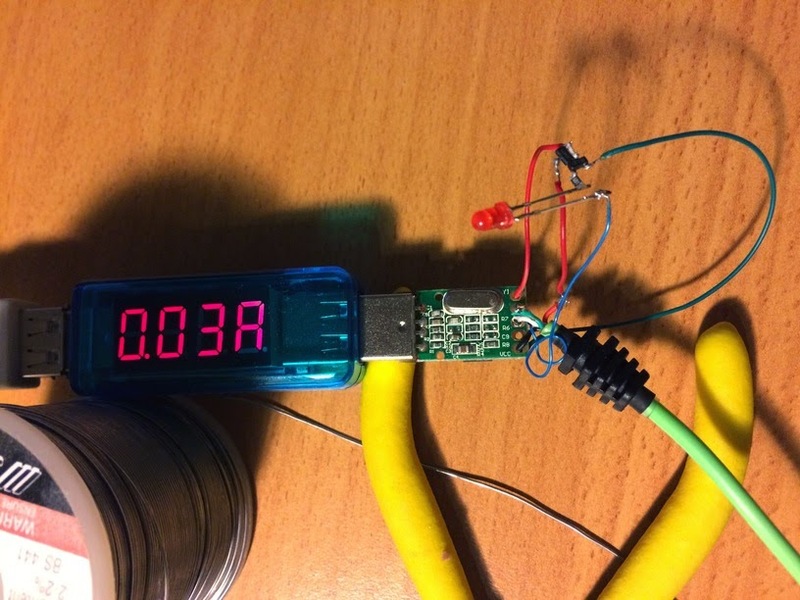 I checked it with a multimeter and it's 3.3V. But it didn't work anyway. I tried modifying the LK to have printk.disable_uart always 1, but it didn't work. Swapping the RX and TX lines didn't help either. And there's no UART on the motherboard, no kernel sources for the phone. And the LCD screen is dead too. I needed the UART to try to install Debian instead of Android. Hello again. I've connected UTXD4 to my PL2303HX (only GND and RX). I get come output to the console, but I think the charset is wrong (I use UTF-8): http://imgur.com/VSK9L0a . Do you have any ideas? Looks like a wrong baud rate setting. The MTK default is 921600. I tried different baudrates (921600 too), but I had the same result: garbage instead of text. Is it possible that my thin wires cause interference :) ? By the way, thanks for quick reply. It's probably not interference at the low speeds that UART runs at. Do you have any kind of oscilloscope or logic analyzer? That'd be the easiest way to see what's actually being transmitted. Fixed it with the orange loop. It was the interference. Ah well, I'm glad you got it working! I've finally managed to get systemd to work (even though I used kernel for other MTK6589 SP). 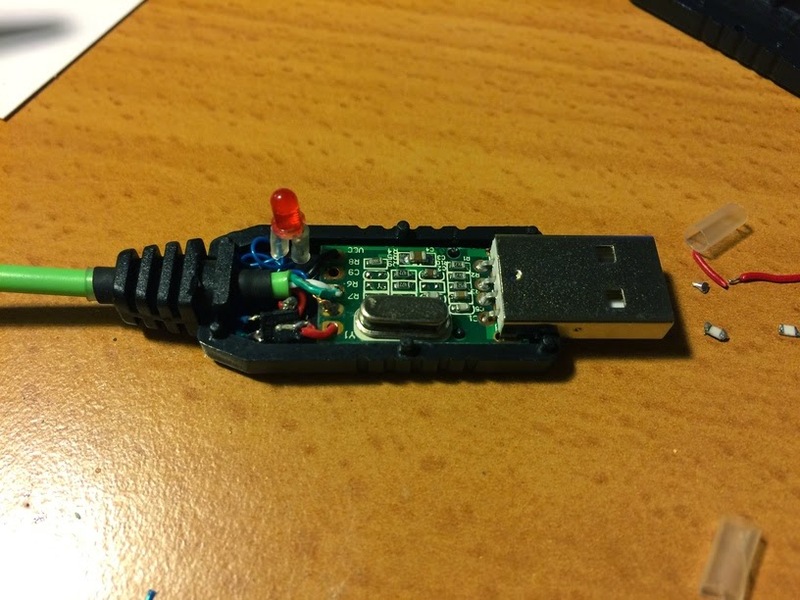 One last question: is it OK if I also connect RX pin (1.8V) to my USB-TTL (3.3V)? I wouldn't recommend it (although I have done in the past without causing any noticable damage). 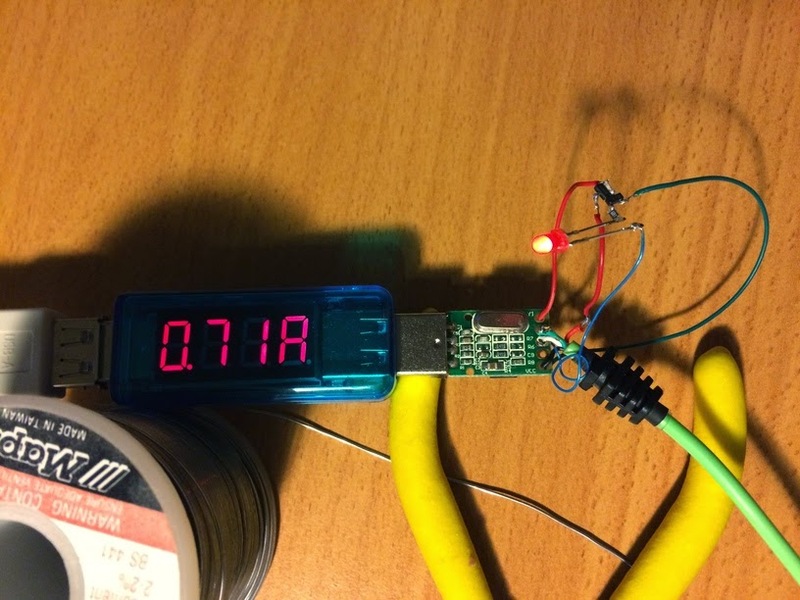 The datasheet says 1.7-1.9v as the absolute max rating. Copyright © 2012 Steven Honeyman. Simple theme. Powered by Blogger.